Gordon “Gord” Norrie is the proud winner of the Best Vehicle Salesperson by the Times Readers in the Annual Readers Choice Balloting Award. He was voted to receive this award by the local community. He has been in the industry since 1969 and has loved every minute of it. 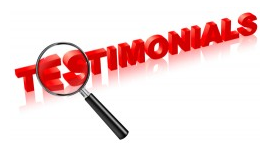 “I come in every day and interact with clients. Things are always ever changing, like new products,” commented Gord. Gord is humbled by this recognition within the community and the industry. “Thank you. I plan on doing this for many years to come,” said Gord. We are proud of you Gord, keep up the great work!